At John Baker Sales, we’re dedicated to providing premium customer service when it comes to paint booths and air compressors in Denver, CO. Our family owned business was established in April of 2003 and has since grown to become one of the leading distributors of Garmat brand paint booths in Colorado, Western Nebraska, and Wyoming. The purpose of this blog is to provide our customers with industry and shop news to help them understand what we do and why we do it. Paint booth operation and installation is a very specialized industry and we want our customers to feel confident in not only our business, but the services we provide as well. We’ll also provide some of the hottest auto paint trends and how you can utilize our services to brand your company vehicles. 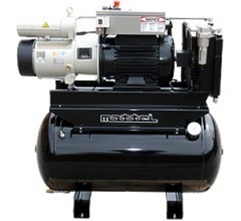 At John Baker Sales, we also sell, repair, and install Mattei air compressors in the Denver, CO location. On this blog, we’ll provide you with a variety of DIY maintenance tips and repair options for when you’re unable to call us in yourself. We strive to provide the best service for all of our customers and that includes giving them the best information about our industry, what we do, and how to care for your own equipment in a pinch. For all of your spray booth and air compressor needs, call John Baker Sales today at 1-888-91-BOOTH.